OnLine Internet Music & Talk for your Enjoyment & Fun ! for your Enjoyment & Fun ! Tameside Autism Group was started around 10 years ago and with time and progression members have brought new capabilities to support others that have autistic spectrum issues . At present there is ONLY Loop SoundTracks on file via the Shoutcast Server . These are talks with Richard Finch & Technical Support Helper . Gary . The settings for performance are at 192Khz ( better than Compacy Disc quality ) and the Shoutcast Server can cope with up to 1000 Listeners . Some basic Internet Radio Stream Jingles are being made & these would be positioned on Sounds Panel List soon . If you wish to find out any more please reach Technical Support Helper Volunteer via Contact Details . Thankyou ! 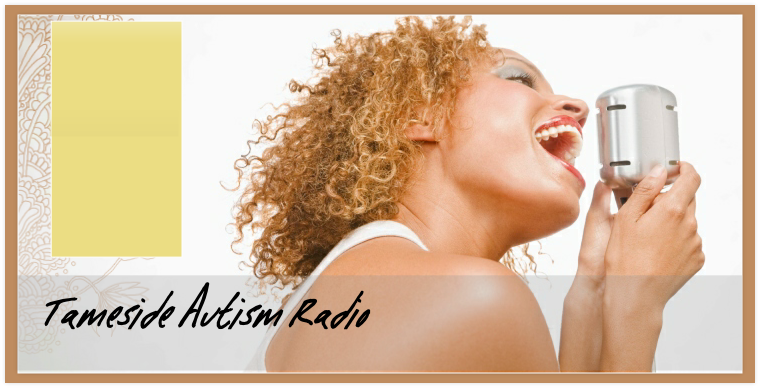 Providing a Radio Sound Stream for Autistic Spectrum People & Family & Carers & Professionals within Tameside & Glossop & Local & National UK . With Talk’s & Music & Support Features .